TacomaTurf: "The West Home of Golf"
"The West Home of Golf"
I'm sure other golf clubs in America have ties to St Andrews in Scotland but Tacoma C&GC has some direct ties, and this week with the OPEN Championship being held at the "home of golf", it's a great time to recognize the connection between these two historic golf clubs. The founder of Tacoma C&GC was Alexander Baillie. He was a graduate from the University Of St Andrews and after receiving his diploma became an aspiring employee of the Balfour-Guthrie Shipping company. Recognizing his potential, the company sent the young lad to America at the age of 21 to start a branch on the West Coast. In his new office he managed some 30 persons and half of them were homesick Scots like himself and many of them were also graduates of Saint Andrews University. Baillie felt he could relieve some of their homesickness if he could establish in Tacoma the game so many of them had played in Scotland. So in 1894 he obtained a 5-year lease on 280 acres in south Tacoma and organized the Tacoma Golf Club, the first permanent Club in the Northwest. The Club grew and in 1896 Sir Robert Balfour of the Balfour-Guthrie firm visited Tacoma. 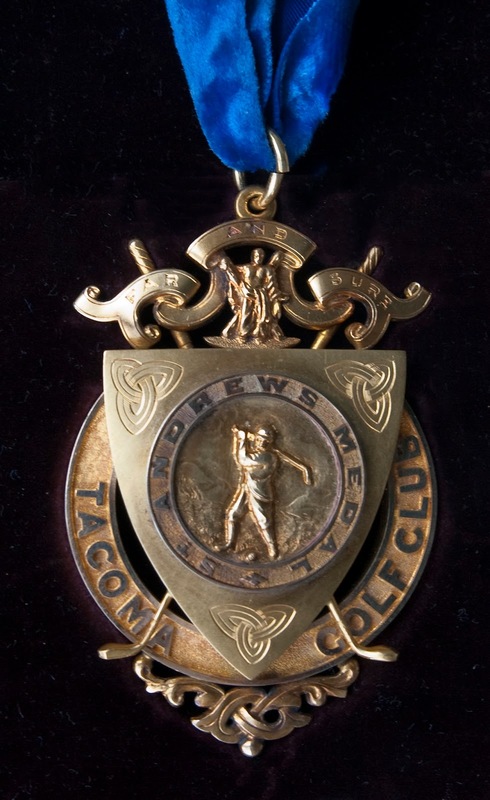 Sir Robert was an ardent golfer and was so impressed with what Baillie had started that upon his return to Scotland he had a gold Saint Andrews medal made for the Tacoma Golf Club. It is called simply the Balfour Medal. This was placed in competition for the first time on Jan. 1st 1898. It has been a treasured possession of the Club ever since, even though it was misplaced in 1910 and not found until 1938. Once recovered, it was decided the medal would be awarded annually to the Club Champion which would be decided after 36 holes of match play. That is still the case today and forever shall be. So now you know why Tacoma C&GC awards their Club Champion a medal that bears the name of St Andrews. 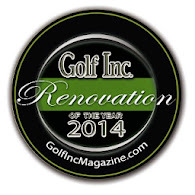 It is because Tacoma, the home of golf for the west, was built by gentlemen from the one and only "home of golf ". The Balfour medal is just another example of the historical significance of Tacoma and the game of golf. Remember the next time you tee it up that your not just playing another old classic golf course. When you play Tacoma, your playing golf on an antique. You're playing "Vintage Golf".